Welcome to the Tustin Field community in the award-winning Irvine Unified School District. Outstanding amenities including; a pool large enough to swim laps or just for fun, a Jacuzzi, a picnic/bbq area, basketball court, a park, and a playground. 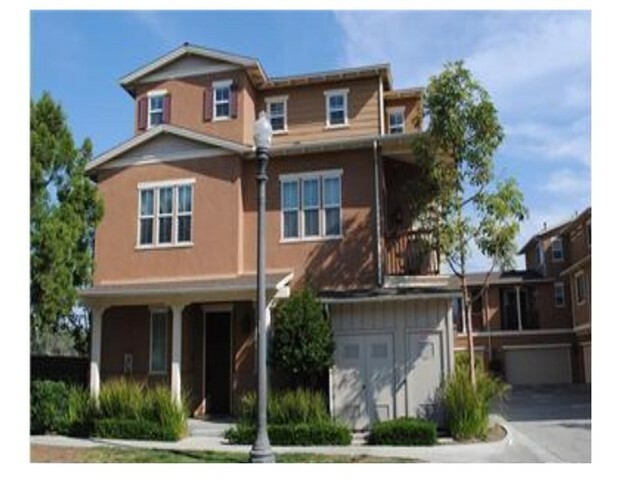 This gorgeous three story end unit townhouse features 3 bedrooms and 3.5 bathrooms, with each bedroom boasting an en suite. The first level has a bedroom and a bath that is perfect for a home office or guests. The second level has an open floor plan with a large dining room, living room, and a cozy fireplace for many a family gathering. There is an inside laundry and a lovely balcony off of the dining room. The kitchen is complete with stainless steel appliances and granite counter tops. There are high ceilings and numerous windows throughout which make this home light and bright. There are ample storage space and a built-in desk on the landing. The third level includes the master bedroom and a third bedroom. The two car attached garage offers the convenience of direct entry into the home. This highly desirable home is and is located near The District and Tustin Marketplace, with easy access to major freeways.